Like the contents of a man’s toolbox, Fishing tackle consists of a variety of tools. Obviously made for fishing and to assist an angler’s catch in fishing journeys. People with a potential interest in occasional and dedicated fishing have been asking this simple question. What makes the basic fishing tackle box? Honestly, the answer is no difficult one. But at the same time, there has been no proper guidance on it. Which is really sad for the beginners in our community. Complain no more, as we are answering it for you. If you are interested in buying some fishing reels, have a look at what we picked for 2018. What makes the basic fishing tackle box? We have listed the top 10 tools that we’ve ever learned to recommend. Include these into your basic tackle box for an initial boost. But let’s check first if these are really worthy for you or not! Yet again I guarantee, these are the most important ones though. Imagine yourself traveling to an adventurous spot. You pull out your DSLR camera from your bag and start clicking some excellent photos, but your battery drains out. Sounds sad and frustrating, doesn’t it? This is exactly how an angler feels running out of fishing lines. If you are not planning to feel that way in any of your fishing trips, then putting some extra line in your tackle box is our first recommendation for you. Because somehow you will break or tangle up your fishing line. Maybe your line gets caught on a log or a monster fish bites your thing and creeps around the underwater jungle. No matter what the case is, you will get your line broken or tangled up for sure. Thus, it is undoubtedly the very basic tool in any tackle box. Now comes the type of extra line that you should carry. Well, it depends on certain facts, such as- the place you are fishing and the kind of fish you are after. And when you plan fishing in clumsy conditions, make sure you get the more durable and heavier ones. This will decrease the chances of snapping, a common problem. Stealth is the guru of lines while you fish in a crystal clear lake. A thin and clear line is much recommended for an ingenious move. The second most basic tool for every tackle box is a collection of extra hooks. Adding a range of hooks in your tackle box keeps you organized for any sort of fish. While many fishermen swear by the French hook, I prefer sticking with the typical J-hook. Regardless the type of hook you carry, make sure you have different sizes of them. Fishing for river trout using a hook that’s sized for a 120-pound catfish is seemingly stupid. Fishing hooks are essential pieces of fishing gear. And different types of hooks range from the very smallest size at a number 32, to the very largest at 19/0. Select the hook size and gauge following the size of your bait first, then consider the type and size of fish you are looking for. And last but not the least, the type of terrain or structure you are fishing in and around. Obviously, there lie some exceptions to this. But those are rare cases anyways. The moment you see a J-Hook, you know it. The appearance shows it all. It resembles the letter “J.” They are popular for their straight shank and that doesn’t fail to hook the fish somewhere in the mouth, whenever the fish bites down on it. J-Hook is different than a circle hook in many ways. First of all, it is not circle shaped and then it’s shank and point are not bent in towards the shaft either. The shank is straight in it. J-hooks are the oldest and most popular hook shape used by spare time anglers and are still amongst the best hooks to use, especially when you are trolling live bait behind a moving boat. The “J” shape of the hook and the fact that the barb doesn’t intensely point inward, boosts the percentage of hits you get, ending up successfully setting the hook and catching a fish. So if you’re trolling live or dead bait, go with the J-Hooks. A circle hook is typically a form of the fish hook that is sharply curved back in a very circular form. It’s become widely used amongst anglers in recent years as a result of the hook usually catches additional fish and is never enveloped. Since the circle hook catches the fish on the lips at the corner of its mouth, it always decreases the mortality rates of free fish as compared to J-hook. The circle hook’s form permits it to solely hook onto the associate exposed surface, that within the case of a fish means that the corner of its mouth. The fish takes the baited hook and swallows it, and because the hook is reeled in, it’s safely forced out of the fish till it reaches the mouth. It is not the kind of hook to set or jerk. It is necessary to not strike (or set the hook) once the fish bites, however rather simply reel in. The act of putting whereas employing a circle hook typically leads to the hook being forced out of the fish altogether. So reel in, whenever you feel something on the other end. And again, not to jerk or set this hook. Just like the J-hook, this one also is defined as offset and non-offset. Offset circle hooks have the point aligned at an angle to the shank, on the contrary, non-offset circle hooks are aligned even to the shank. Studies have shown that circle hooks do less harm to billfish than the normal J-hooks, nonetheless, they’re at even as effective for catching billfish. This can be sensible for conservation since it improves survival rates once unleashed. As per the dictionary term; treble hooks refer to a fishhook where three hooks share a single shank, each point separated by 120º. It means the hook consists of three hooks and these three hooks branch from a single shank. Treble hooks are famous for reeling out a combination of artificial lures. 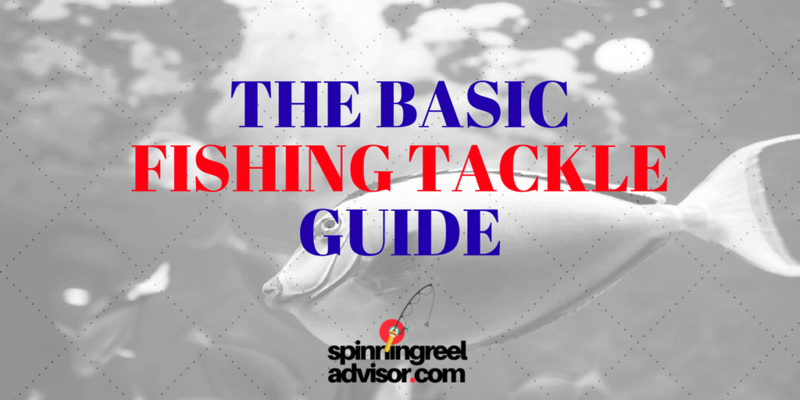 However, in many of the states, you can’t use a treble hook with a live bait attached to it. This is against the law. Kahle hooks are also known as ‘K hooks'(old school) or Shiner hooks. It kind of looks like a cross between a J-Hook and a circle hook. The hook point is pointed to the hook eye rather than towards the shank of it. But the distance between the point and the shaft is visibly greater than on a circle hook. Kahle hooks are mostly popular for bass fishing. Specifically when you are fishing with live golden shiners. Experts think that Kahle hooks have higher instances of gut-hooking. And this brings higher mortality rates for fish, which sounds sad. But if it’s completely fine if you don’t catch those rare species. Wire hooks are made of light wire. These are actually used for smaller-sized baits. Wire hooks can pierce the bait easily and the fish’s mouth also. It presents the bait to the fish more naturally, making it likely to bites. Larger fish species need plenty of drag around structures. So Thick Gauge Hooks are good choices for larger species of fish that need plenty of drag around docks or bridges, etc., wherever you’ve got to use your maximum force to drag the fish off from the structure. Bobbers are commonly known as floaters as they float on the surface of water sticking to the line. Bobbersinforms whenever you get bites from a fish. It works really simple. The bobber sinks every time a fish bites your hook. Soon as it happens, you are ready to go. Quickly reel your catch in. Needless to say, when it comes to picking the right bobbers, you definitely have choices. Round bobber, slip bobber and typical corks are the ones, used by anglers at large. Amongst them, the round red and white plastic bobbers are the most familiar in the market. This round bobber is easy to use. Simply clip them to the line in order to attach them. Conversely, the round bobber brings limitations to how deep you can cast your line. So the slip bobber is my preference. You can slide it up and down the line as you want. Although it takes a little more time to rig, but come on! The extra effort does worth it since you get to hook into the deeper water. Right? Now I personally don’t like the idea of using a piece of cork with a stick in it. But no one is stopping you. If you like, you can tie a cork to your line and you’re set to go. By the name sinkers, you know what its job is. Exactly, a hook and worm alone can’t sink deep. They are too light, you know. So you need to add some weight to your fishing rig for that. And like the other ones we have discussed so far, it’s good to have some extra sinkers on hand. I’m telling you this because I’ve lost plenty of them on my fishing outings. Being a fisherman, deep down we all are environmentalists, at least we love cleaner water. So I recommend not to pick up the traditionally made; lead sinkers. It’s not yet illegal for you in every state, but it’s on the way to be outlawed for environmental reasons. This shouldn’t make you feel sad. Sinkers are also made with materials like; brass, tungsten, steel, and bismuth. So look for these on the first hand. If you fail, then no one is spying on you either. You may be a big fan of using live baits. Yeah, they are great, I admit. But at the same time, it’s equally good to keep a package of plastic worms in your basic fishing tackle box. If you’re bass fishing, then it becomes more of a necessity. You can trust me with it. Plastic worms are available in plenty of colors and sizes. You may have heard somewhere that some specific colors of plastic worms boost the number of bites. Well, let’s face it. It’s probably a myth. While luck favors you with certain colors, you can obviously continue using them. Statistics in different fishing forums show long tails plastic worms are the easiest to use. You could somehow reach your fishing needs with the old hook and worm. But every now and then, you may go crazy on your game and sort out some of the more challenging lures. So packing a couple of lures is a smart move. There are plenty of fishing lures to choose from: spinners and spoons, minnow imitations, topwater lures and the list goes on. Each and every type of these lures are intended to attract the fish in a certain way. Such as; the minnow imitations fake themselves as small swimming minnows. You don’t want to stuff your tackle box with every other lure you see around. Because you are just looking for the basic fishing tackle here. Minnows can be one of those few lures to keep, as many large and medium-sized fish love to bite on it. You can have the Hair Jigs, Spinners, Curly Tail Grubs packed in your tackle box for a few outings. Since the type of lure you tend to use is a matter of personal choice, try finding out what works the best for you, having a few extra lures in your collection. Pliers are basically a hand tool for holding objects firmly. During the Bronze Age in Europe, people used tongs to handle hot metals. Pliers are a developed form of those tongs. See? I know a lot of history, but age-old history is none of our concern. So needle nose pliers are the one you need for taking the hooks out of the fish after you catch them. But here comes the best part, they’re at times used to take the hooks out of you too. Lol. No matter if you love hooking yourself very often or not, fishing is a dangerous sport in itself. Read the most common fishing injuries, before you get one. Let’s suppose, you won’t have any critical injuries while you’re fishing. But again, small injuries are likely to happen, right? Getting a survival bite from the fish you caught in your thumb or falling down are the norms. For these kinds of cases, it’s upright to have a first aid kit with you. It doesn’t cost you much. Pack in some band-aids, Neosporin, a few small bandages, antiseptics, some waterproof medical tapes and you are done for most fishing-related injuries. The sun is rude with its ultraviolet rays; UVA, UVB, and UVC. You know what these lights can do on your skin, right? UV rays can cause extreme damage to your skin; from premature aging to skin cancer. Frightening, isn’t it? Keep the track of time and wear proper skin protection to avoid disturbing irritation. I know how it happens. You forget putting it on every time, just before you leave the house. So why don’t you keep it in your tackle box, eh? When you open it up, you’ll be automatically reminded to slather on. Remember our first pick for the basic fishing tackle box? Yeah, extra lines. At times, you’ll get your line stuck in such way that you can’t get out of and then, your only route is to cut the line. Or maybe your hook is snagged underwater by a giant creature which you can’t reel in and it is pulling away from your line with indomitable force. Furthermore, you can’t risk slipping off your rod and reel fighting it. A pocket knife, nail clipper or an out-and-out line cutter can get the job done for you. Till now I prefer using nail clippers to cut my line. It’s much quicker and more efficient than using a knife in those uninvited and annoying cases. Pick the one which you feel the most comfortable with. Last but not the least, a spacious and nice looking fishing vest is your go if you are carrying quite a few tackles with you! Face it, you don’t like to return to your tackle box every time you need something. Or, do you? In this particular case, a quality vest can keep all the gears nicely arranged in its pockets. So, next time you need to reach something, you won’t have to move from your ground or miss a fish or two. Don’t just stick with the basic fishing tackle to include into your tackle box. It shouldn’t be abandoned this basic for good. As you are on your way to chronological improvements in fishing, your rod, reels and other tackles shouldn’t lag behind. Follow your necessity, you’ll know what to add next. And tell us if you think, an essential tool is missing on our list. Till then I wish you, tight reels!